Super heroes are everywhere, so why not in the music room! 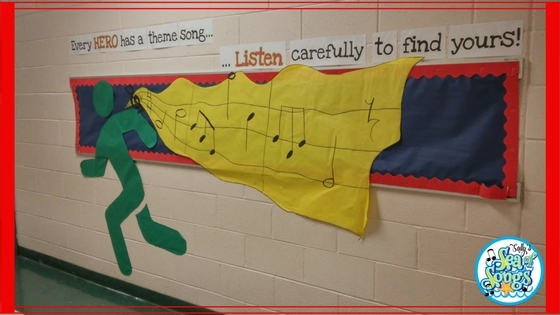 This great bulletin board was inspired by one posted by James Michael Foster's post in the Elementary Music Teachers Facebook Group, which is a great source of ideas and inspiration for many music educators. 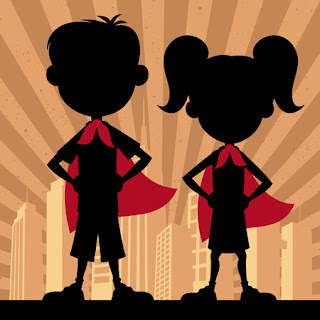 Inspired by the bulletin board, I developed a coordinating lesson power packed with super hero theme songs to hook the interest of students, critical music listening, character education, and writing. I have been experimenting with a new lesson organization tool that is especially helpful for lessons with lots of video clips. TES Teach with Blendspace is a free web tool for teachers to collect resources in one place to form a bundled, interactive lesson for students or colleagues. Videos, pdf's, pictures, quizzes and more can be added in to the lesson and shared with students. 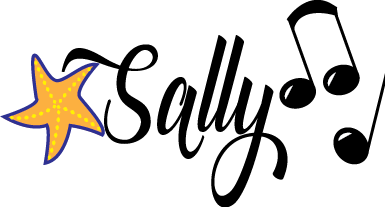 Links to the lessons can be added to your class blog or Edmodo class. They have recently come out with an app that is available in the Apple App Store and the Chrome Web Store. I used this platform as the "container" for my video-based lesson on super hero theme songs. After a brief definition of theme songs, each class chose which of the theme songs they wanted to listen to. Before playing the song, I asked the class to tell me 3 things that they knew about the movie or character. For example, when discussing Ghostbusters, students said there were ghosts that slimed, the ghostbusters who chased the ghosts, and the contraption that they used to catch the ghosts. I asked them to listen for what the composer put into the music that might represent these things and was very pleased with the responses! My students said that the tempo and rhythm of the introduction sounded very active, and could represent the ghostbusters on the chase. They said the harsh electric guitar could represent the ghosts and identified some electronic sound effects that could represent the ghost catching contraption and the slime. I thought it was a great discussion for 4th & 5th graders! Now it is time to turn their attention back to themselves by thinking over that list of positive character traits that we compiled at the beginning of the lesson. Each student chose two positive words to represent themselves. Then they chose two instruments that they would use to represent those characteristics in their theme song and explained why they chose them. After a few minutes of think time, students had a chance to share their responses with a partner before completing the writing assignment. I believe that this conversation helped them to solidify their thoughts by talking them out. Because this was a "quick write," the assignment was not long, and the students were able to complete it quickly following their pair-share conversations. 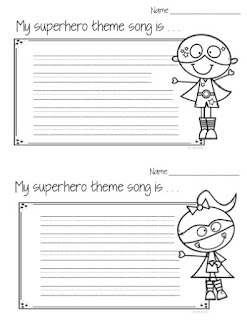 Click on the picture to download a printable copy of the super hero writing paper. The cute super hero kids come from Graphics from the Pond. 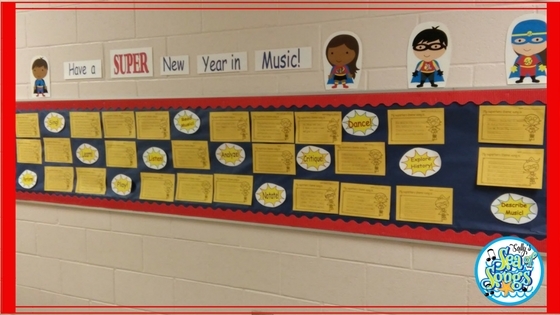 I purchased the Super New Year in Music set from the awesome Bulletin Board Lady, Tracy King. It is the perfect complement for the student writing about their super hero theme songs. Great post! Thanks for the ideas! Thanks, too, for the link to the Facebook page.